Wise Words | Aneela McKenna. Wise Words this week comes to you from Mrs. Go-Where Scotland herself, Aneela McKenna. 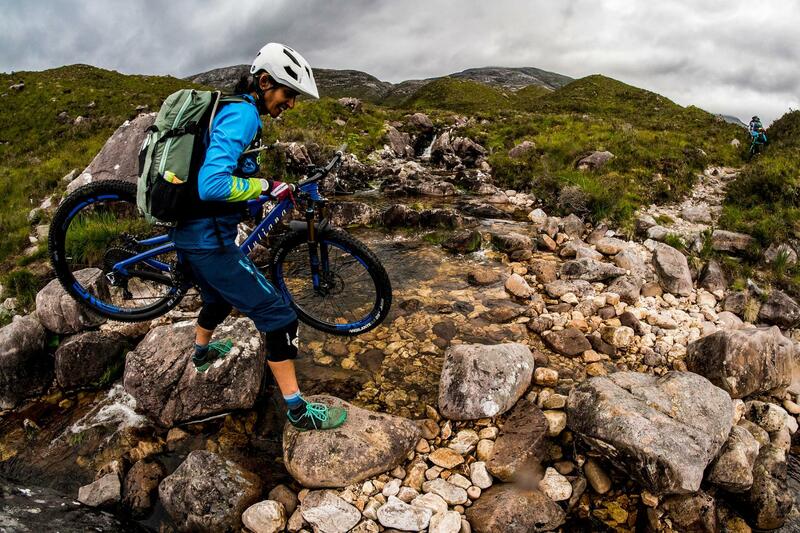 Juliana ambassador, co-partner at Scottish guiding heavyweights Go-Where Scotland, as well as Diversity and Inclusion Specialist at the Scottish Parliament, Aneela certainly likes to keep herself busy. Photos by Sven Martin unless stated. An energetic explosion of motivation. My friends say they can hear my laugh on the trail long before you see me! 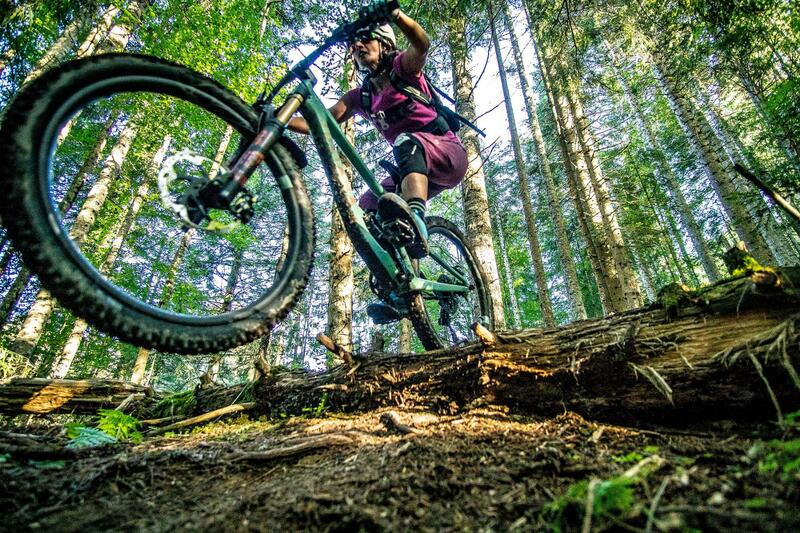 Switching from my beloved Juliana Joplin to her big sister Roubion has been a bit of a mind blower to be honest – it’s got me looking more seriously at all the gnarly lines and I’m super keen to get better at riding steeper and steeper terrain. It’s amazing how it’s changed my mindset about what I want to ride and where. Luckily I’ve got so much on my doorstep (Tweed Valley) to practice on with a rad bunch of lassies. I can’t think of too many unusual habits but you can usually hear me before you see me. I tend to make more noise down the trail than anyone else. I’m known for getting a bit over-excited when I’m on a good descent and you can hear me hollering and whooping all the way down. I do have to apologise at times! I also carry a lot of my guide kit with me even when it’s riding with friends because people end up relying on you to be the support/go to person if something goes wrong. Never say you’re not good enough or ‘you can’t’ achieve something. Surround yourself with people who say ‘you can’. Avoid anyone who says otherwise. This way you will enjoy your riding much more and be motivated to try things and not beat yourself up when you didn’t get it the first time. I’ve taught myself not to look backwards. It’s best to avoid thinking about what you might’ve changed. It ends up messing with your head and it’s usually just trivial nonsense anyhow, like not getting down that drop or shoot first time around. What a total waste of energy! Maybe it’s age that’s made me wiser or Andy’s approach to living with MS. He is the most positive hairy human being I know and he makes me live in the moment and appreciate the now, not yesterday or tomorrow. I’ve wasted too much time eating Haribo. I follow the same diet as Andy does for his MS (no meat/no processed/high sugar foods etc.). Protein balls are my new trail snack and they are super healthy. Whizz up some dates, nuts, cocoa powder and orange zest and BOOM, you’ve got best trail snack ever. And no horses were sacrificed to make them. 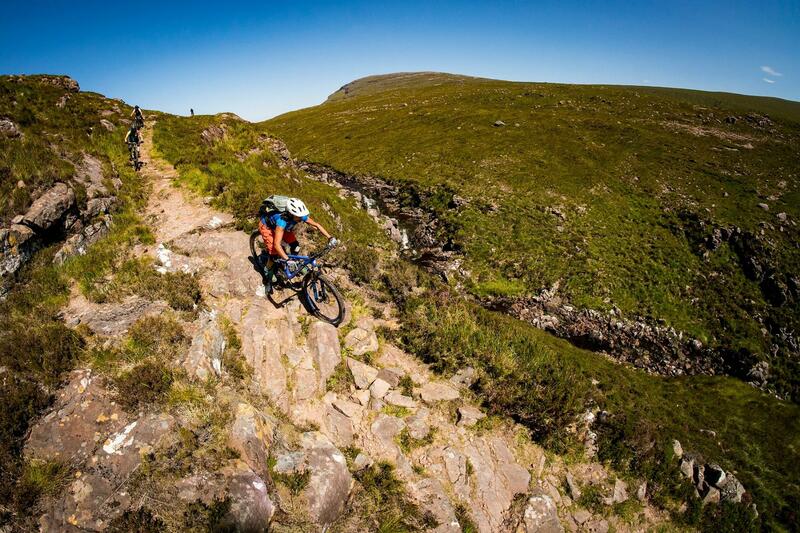 Get out and ride – it clears my head, even better when it’s wet, windy or blowing a hoolie. All it needs is 30 minutes on a bike and I feel like a new person again. Or I often hear myself say it’s time for a ‘mission’ ride and that’s pushing me so out my comfort zone, that whatever I was struggling with I will have conquered it. The love of the people in the sport, bikes bring us all together and makes me happy. 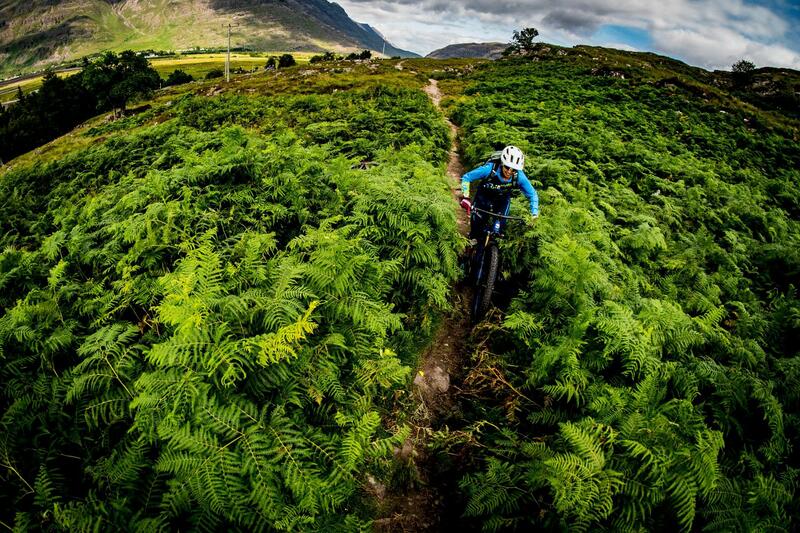 It’s like my medicine that keeps me going, whether it’s riding bikes with friends, with Andy or new folks, it’s my way of connecting with the outdoors and other like minded people. The MTB community is a small one but I have been fortunate to have met some incredible people from working in the industry that I now call good friends. Sexists and misogynists. There’s no room for them anymore. Let’s move along. To see more women of colour like me in the sport. Lucy Grant, Alex Pavone and Polly Henderson.